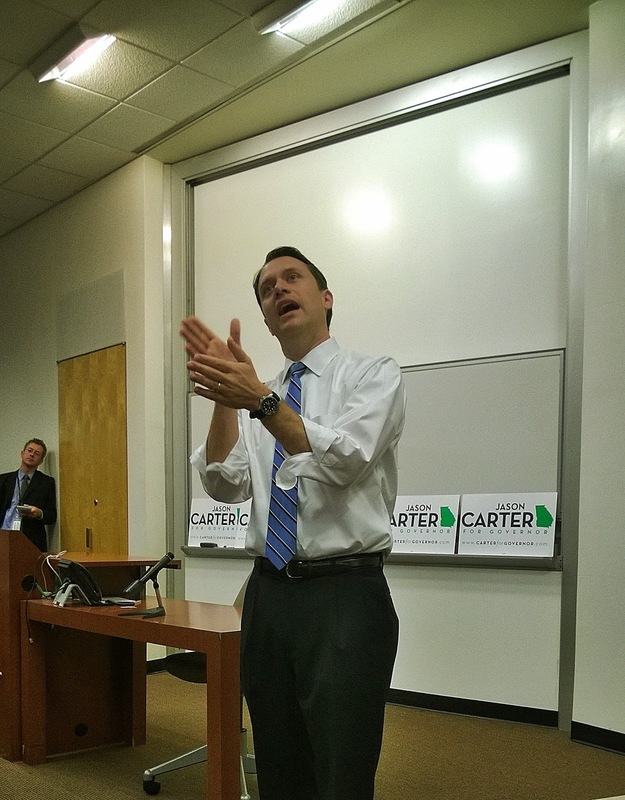 Last Friday Democratic candidate for Georgia Governor Jason Carter came and spoke at Laura's American Politics class. Carter is President Jimmy Carter's grandson and currently a Georgia State Senator for District 42 which is in East Atlanta. The event was open to the public so I tagged along and as I was the husband of "Dr. Dean" I got to have a pretty good seat. He reminds me of John Edwards [I say that in the most positive way possible] and has certainly earned my vote on Tuesday. I was hoping to get a chance to score an autograph from him and so I brought along a card of his Grandfather to sign. When I asked him if he would sign it he told me he hadn't seen one of these cards before so maybe I'll track down another copy and mail one to him. 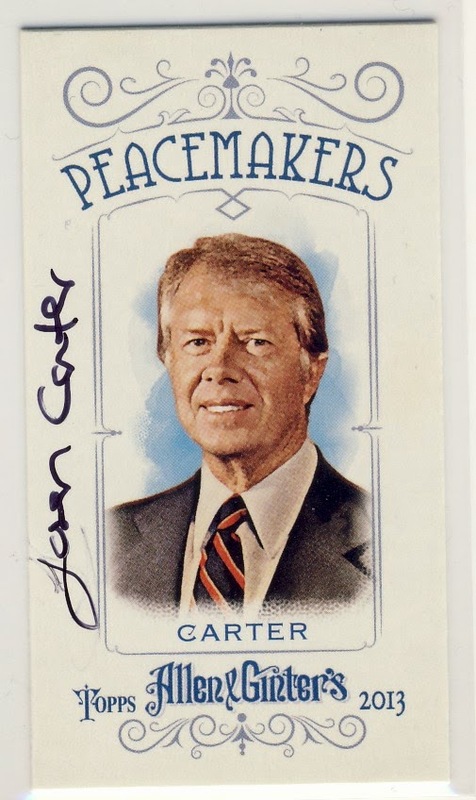 I like the card and maybe one day when I run into President Carter down at the Piggly Wiggly maybe he can sign it too. 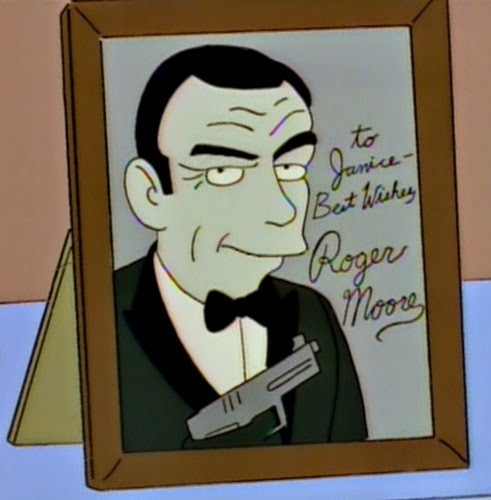 It reminds me of an episode of The Simpsons which shows on of the treasures at the comic shop The Android's Dungeon was a photo of Sean Connery signed by Roger Moore.